We had the opportunity to see this movie in theaters, and it was an awesome experience. Dramatically playing card games to save the world on the big screen? Sign me up! The animation is the best it’s ever been, and the English dub was well done. The story definitely has plot holes, but reuniting with the original cast of the Duel Monsters anime and seeing some emotional growth from Yugi was very much appreciated. The dialogue is quite a bit better, and getting to see these characters grow up and pursue their dreams is really cool. There are even moments when this movie is genuinely funny, which was both surprising and refreshing as someone who watched the original dub. I probably enjoyed this more than I should have. Tokyo Godfathers tells the story of three eccentric homeless people who find an abandoned baby and resolve to find her family and bring her home. It’s wonderfully animated, and the fun premise is very entertaining to watch. The core cast of characters is likable and all have interesting back stories that haunt them in different ways. The story is good, but the side plots for the main characters were rather confusing and almost convoluted. They didn’t tie together especially well, and that made the pacing of the movie feel odd at times. It’s a heartwarming movie though, and watching it in the spirit of the holidays is really nice. Your Name is the most popular movie of the year, and with good reason. Your Name tells the story of two teenagers who live across the country, desire something more out of their lives, and end up body swapping and learning about each other and themselves through these experiences. It’s a beautiful looking movie, with smooth animation and bright colors. The main characters are likable and their emotional journeys are really great to watch. The twists and turns were really exciting, especially when the movie’s story takes a dark turn that I not only didn’t see coming, but almost didn’t follow the first time I watched it. Luckily, the story’s twists are justified and help the movie stand out, even if it took me a second time to watch it to make sense of everything. 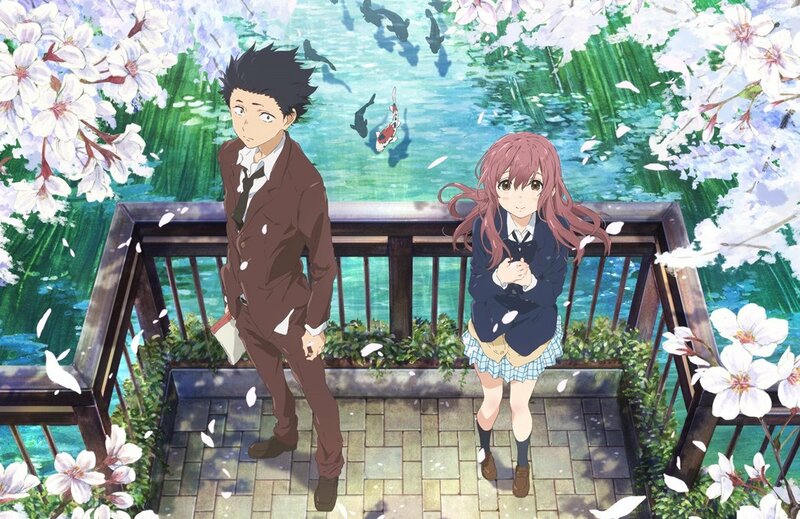 Silent Voice is a very emotional movie about the shifting relationship of two teenagers after a history of bullying and misunderstandings in elementary school. The animation is very good from start to finish, framing this redemption story beautifully. The main protagonists are incredibly flawed but likable characters, and luckily the movie keeps the story focused on them and their dynamic. The side characters are fine, but they don’t get too much screen time that takes away from the themes of the story. This movie does an excellent job at exploring handicaps and its affects on people, as well as bullying and the consequences on both the bully and his victims. It’s not something movies address very often, and luckily, Silent Voice does a great job at starting the conversation.